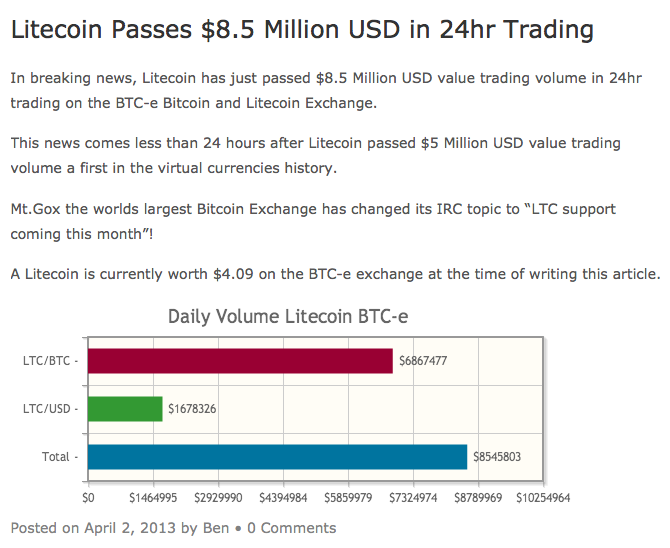 For info on Litecoin - see page 09 Litecoin Info & Latest LTC News. For donations please send to: LYePkf5doYjtVfWGhY8TzBaBRxDmPQKpvT Many thanks. 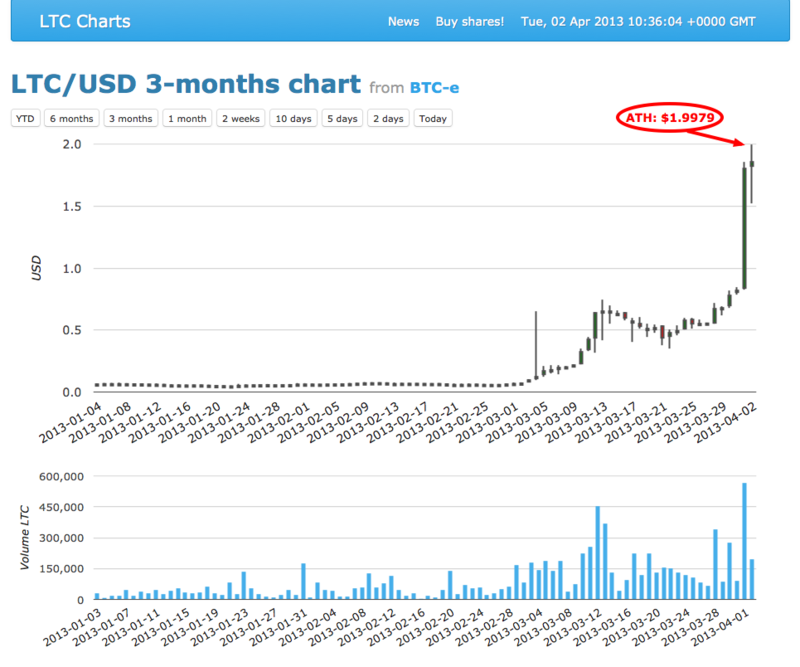 2013 02 11 - Summary 10,000 LTC @ 0.0034 BTC atm = 34 BTC @ $24 = $816 rather lower price for LTC but BTC up a lot in $ terms so OK-ish, buy more maybe? 2013 03 28 - I was too slow buying back in @ 0.0061 so will wait until BTC > $100 now & try to catch a good price for LTC later, so for now the 100.48 BTC moved to main address - see Screen Shots 4 page. 2013 10 20 & 21 - Invested 300 LTC in the house bank roll of https://dicenow.com (spread over 1, 2, & 3% house edge at 1 kelly) & also won 6.69 LTC betting there first. 2013 10 26 - Invested 700 LTC in the house bank roll of DN at 1% house edge & 1 kelly, total in now 1000 + 6.69 wins & 12.79 house gains = 1,019.48 LTC balance.